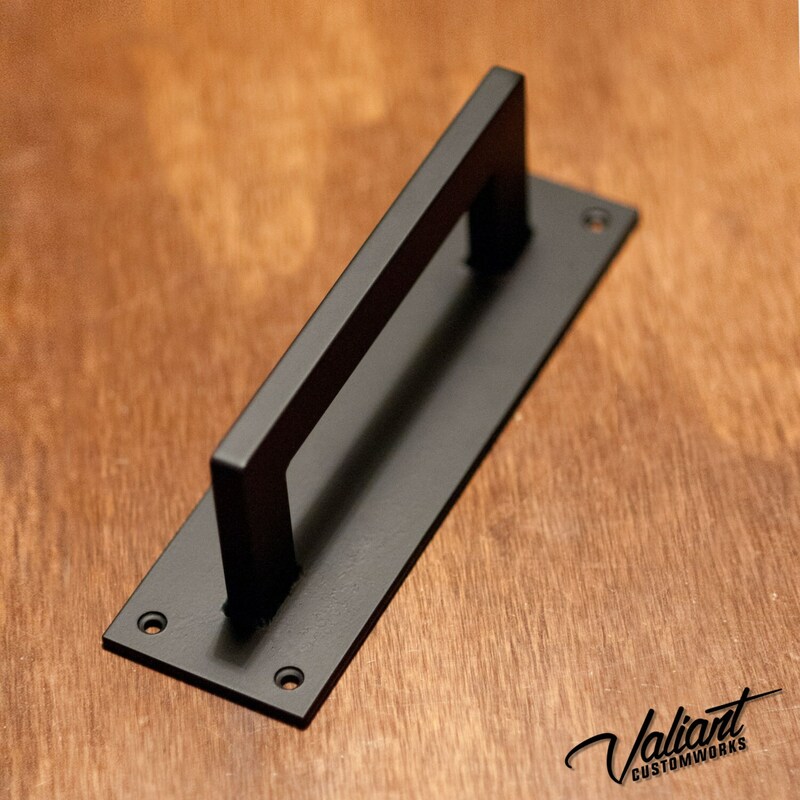 Barn Door Handle - 1" x 1/2" Rectangle Steel Tube - Sliding Loft Door, Industrial Door 10" - 26"
This barn door handle is made of 1" x 1/2" rectangle tube and will stand up to any punishment you could throw at it. Welds are ground clean and smoothed. Once its finished, the whole piece gets a coat of clear to bring out the natural beauty of the steel. Excellent for commercial/exterior use. Note: The lengths listed are measurements of the total product including the backing plate. The actual handle size is 2" shorter than the listed dimension. 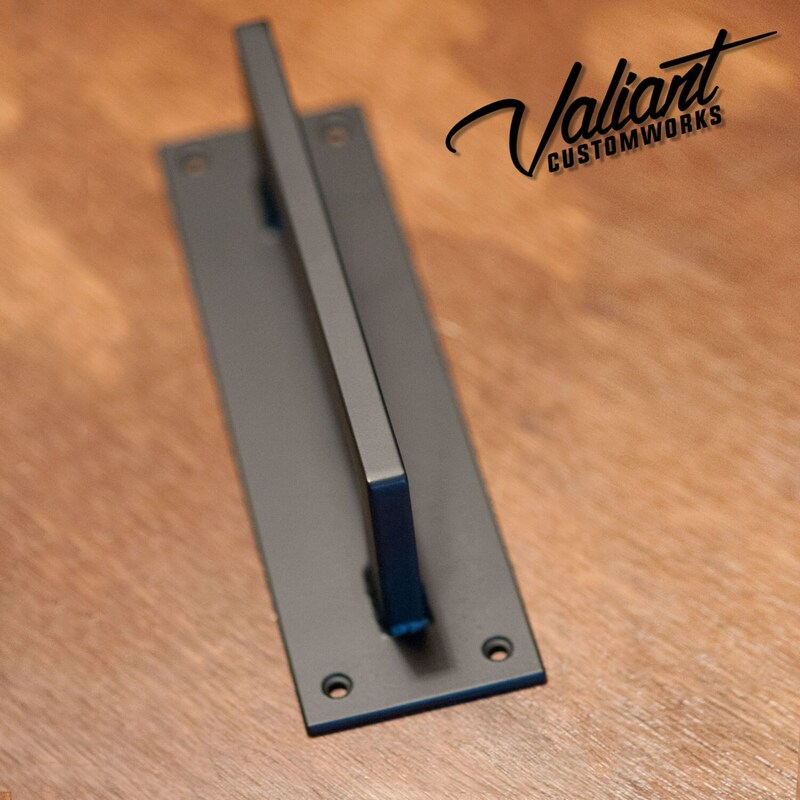 For example, a 10" piece is an 8" handle on a 10" backing plate. The backing plate is 3" wide and 3/16" thick. Well made, high quality. Did not disappoint.